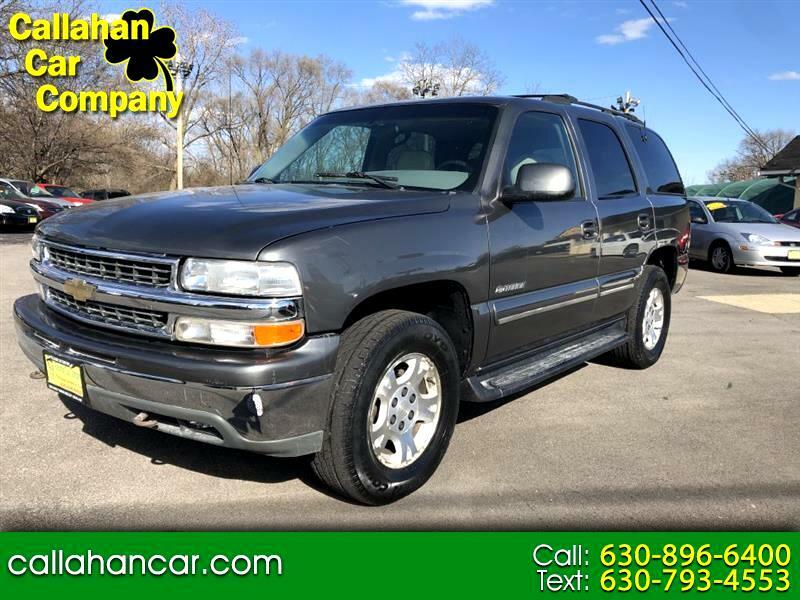 Visit Callahan Car Company online at www.callahancar.com to see more pictures of this vehicle or call us at 630-896-6400 today to schedule your test drive. 415 S Lincolnway North Aurora, IL 60542 (We are just ½ a block south of I-88 on Rt 31) .. Your place for a quality used car at a fair price. We have financing available for people with good and challenged credit... “Financing made Easy” ..
$500 Down on most cars with good credit ..
Finance rates as low as 5.9 APR with approved credit. .. Message: Thought you might be interested in this 2001 Chevrolet Tahoe.